David Ellison’s Skydance is developing a small-screen version of the ’70s conspiracy thriller Three Days Of The Condor, according to The Hollywood Reporter, a project that piggybacks on TV’s current nostalgic affection for remaking old movies, as well as our society’s fascination with a quaint, bygone era when you couldn’t trust the government. 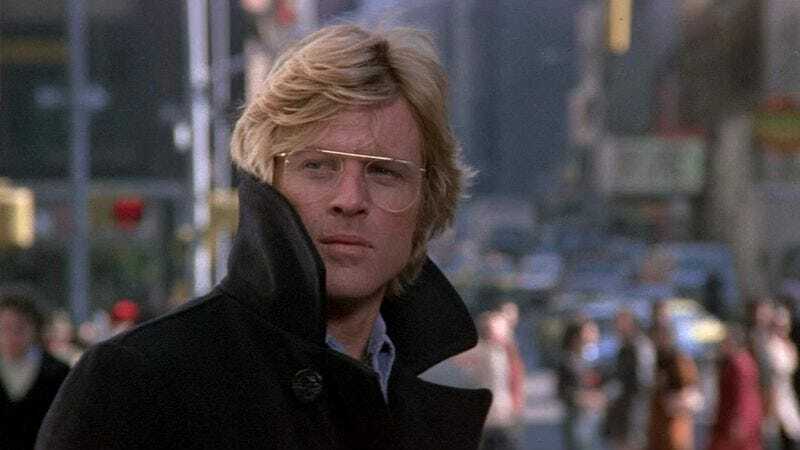 Sydney Pollack’s original film found a beautifully feathered Robert Redford playing a CIA operative whose coworkers are all murdered, ensnaring him in a vast conspiracy that reveals shadowy, manipulative forces working under the aegis of U.S. intelligence-gathering. But of course, Richard Nixon is dead and things are so much better now, which is why it’s so much fun to revisit this scenario as escapist fantasy. In addition to evoking recent conspiracy thrillers such as Rubicon and Homeland, the TV series will draw from James Grady’s original novel, Six Days Of The Condor. Currently it’s unknown whether it will be a limited miniseries or get a full-season run, so it’s too soon to say whether it will be called Eight To Ten Days Of The Condor, or 22 Days Of The Condor With The Option For More If Ratings Are Solid. To know that sort of thing in advance, you’d have to, say, listen in on someone else’s private communications, but luckily that’s not the kind of stuff anyone does anymore.